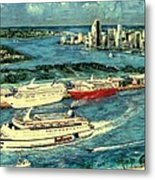 There are no comments for Cruising Miami. Click here to post the first comment. 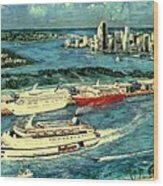 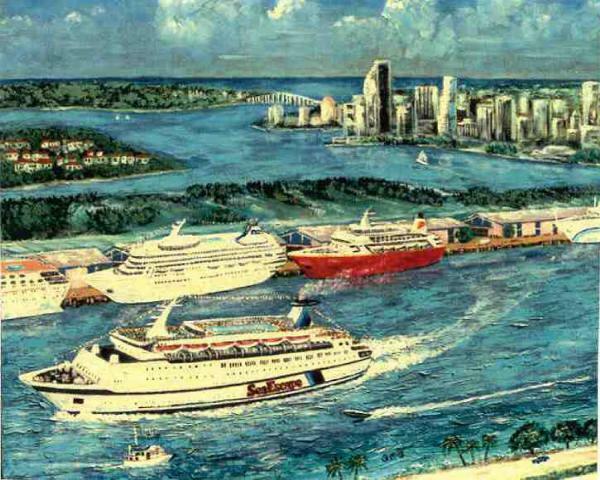 This painting depicts the cruise ship harbor in Miami, Florida. 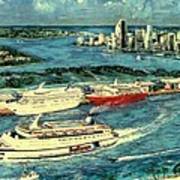 It is rendered in an impressionistic style and was commissioned by an art collector from Miami, Florida.